The water pressure is very important in the design of the sheet piling retaining wall, the choice of the hydraulic pressure is also the most difficult. In the the state, the seepage at the pile tip increases the active pressure to reduce the passive pressure, both of which are unfavorable to the wall stability. This paper discusses how to select the proper water pressure when the tension cracks are produced in cohesive soil. In order to reduce the water pressure caused by the difference of the water level on both sides of the retaining wall of the sheet piling, it is necessary to set the holes in the wall to prevent the accumulation of groundwater. Drain holes are usually located At the bottom of the exposed portion of the wall to maximize the effect of lowering the water level. Have to be aware of is! Only when the free can give full play to the role of the holes, but also to ensure that the drainage Holes are not caused by groundwater flow roots; stones or fine sand plug. In the cohesive soils, the pores holes do not contribute to the reduction of the water pressure behind the walls. The flow network is a very effective tool for analyzing seepage. 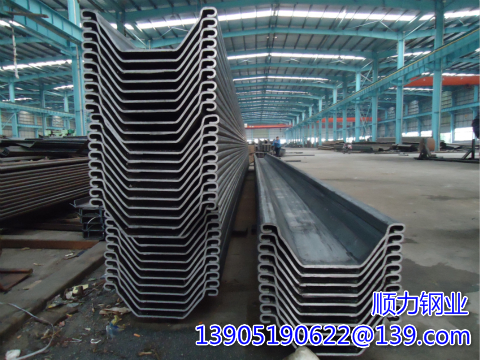 Sheet piling can not only calculate the water pressure in special environment, but also intuitively express the seepage path of water in soil, and the structure of flow net will be described in detail.